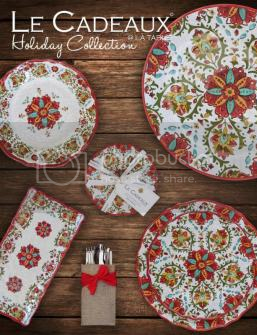 During this time of the year I check websites who has great deals with their Home and Patio Decor | Outdoor dinnerware section because I know that they will have massive clearance for their Spring and Summer items. I'd like to acquire my home decorations saving me a lot of money. That's why I choose to shop during the end of the season because it is where all the deal and clearance is coming. I have found so many great items online and they carry things that I wanted to improve my home decorations. Which reminds me to check out the website after Fall season because I was eyeing of this magnificent plates that could go on to my fall decorations at home. It's a perfect match for the utensils I purchase and I was looking for a nice plates that would go with it. Their outdoor dishes and bowls are just stunning, love the unique and fall decorations. I won't stop there, not only they have plenty of decor accents, they also carry office furniture, kids furniture and decors that you might want to see and the living room and dining and kitchen section. Oh!!! If only I have so much money, I would definitely acquire those items I am eyeing for.